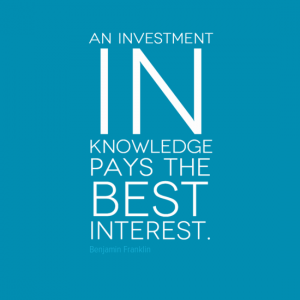 What is the best investment that you can make? According to this individual the answer is knowledge. Benjamin Franklin was born in Boston, USA (at the time a British Colony) in 1706. He was one of 17 children and despite only having 2 years formal schooling, he would go on to become a world-renowned polymath (a person whose expertise spans a significant number of other subject areas). In particular, Franklin became an expert author, printer, political theorist, politician, postmaster, scientist, inventor, civic activist, statesman, and diplomat. How was this possible with so little schooling? The answer perhaps lies in Franklin’s voracious reading. Franklin also created the Junto, a group of “like minded aspiring artisans and tradesmen who hoped to improve themselves while they improved their community.” Reading was a great pastime of the Junto and the members created a library, initially assembled from their own books. His inventions and scientific inquiries straddled many areas including Population, Ocean Currents, Electricity, Light and Meteorology. He was also a musician and avid chess player. In 1753, both Harvard University and Yale University awarded Franklin honorary degrees. In 1759 he was awarded an Honorary Doctorate of Laws degree from the University of St Andrews in Scotland and in and 1762 he was awarded an Honorary Doctorate by Oxford University in England for his scientific accomplishments. Franklin was also involved in public life holding many important public offices including that of President of Pennsylvania. The most important lesson to be learnt from the life of Benjamin Franklin is that you do not always need a formal education to be a success. An appetite for learning and reading are just as important. 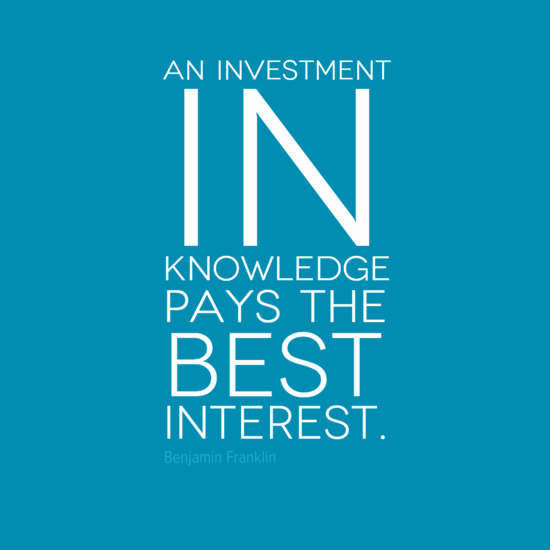 Perhaps “an investment in knowledge” really does “pay the best dividend”. Help – How can I get a pay rise?